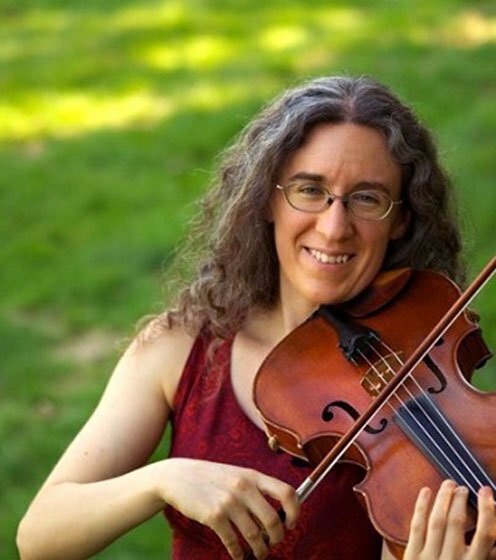 “History is happening this very second,” observed violinist Sarah Darling, noting a “momentary disconnect” between the Boston Women’s March, still in progress outside, and the concert of chamber music from 18th-century France which was about to take place inside Gordon Chapel of Old South Church. It was indeed a stark transition from Saturday’s sunny, unseasonably warm day of mass protest to the dark, enclosed space in which Les Bostonades offered six little-known Baroque instrumental works. A splendid musical event by a group that has become a significant force in historical performance in the Boston area, the program of five sonatas and a chaconne focused on music of Jean-Marie Leclair, a younger contemporary of Couperin and Rameau who was not only the outstanding French violinist of his time but also a brilliant if now unjustly neglected composer. His music shared the program with works by his fellow violinist Jean-Pierre Guignon and the cellist Jean-Baptiste Barrière. Two sonatas from Leclair’s opus 9, a set of 12 such pieces published in 1743, were assuredly the superior compositions on the program. Especially impressive was the D-major violin sonata op. 9, no. 3, in which violinist Darling was joined by the continuo team of cellist Michael Unterman and harpsichordist Akiko Sato. In fact, this piece is a duo, the cello almost an equal partner to the violin in the first three movements. Both string players were impressive, Darling playing as well as I have heard her, with pure intonation even in the difficult chords and double trills. It might be possible to give the first movement more attention to Leclair’s humor. But I was struck by the violinist’s attention to color as she gave contrasting shades to a series of echoing phrases. The concluding movement of the sonata, a tambourin, seems at first just a novelty, a not very promising realization of a popular but unsophisticated dance type also composed by Rameau. But as it proceeds it reveals the composer’s considerable inventiveness—and in this performance, that of the players as well, who shaped this potentially repetitious piece as a gradual, perfectly modulated build-up followed by an elegant falling away toward the end. I could almost hear the eponymous drum (the tambour) as the cellist made far more than one might have expected of a bass line that consists of little more than the same note repeated what seems like several hundred times. Flutist Sarah Paysnick, a last-minute substitute for another member of the group who was unable to perform, was the more than capable soloist in Leclair’s Sonata in E Minor, Op. 9, No. 2. I particularly enjoyed the elegantly executed variation of the concluding minuet. The four joined together in the closing work, a grand Chaconne in G Minor also by Leclair, which is long and full of surprises, some of them taking it far from the now relatively familiar settings of this dance by Lully and other older French composers. The contrasts between sections were vivid in this performance, above all in the surprisingly quiet ending. This would have made for an unexpectedly contemplative conclusion to the program, had the ensemble not added (unnecessarily, in my view) another, very chirpy, tambourin by Leclair as an encore. Another violin sonata, Guignon’s op. 1, no. 8 in A, had a few charming moments but did not strike me as coming close to Leclair in originality or effect. Perhaps this had something to do with its being alternatively for recorder. Also originally for recorder was a trio sonata in D minor by Barrière, notable above all for its unusual scoring, the second solo part being for cello. Here Paysnick offered the top part on flute, a plausible substitution. Still, I found the same composer’s B-minor cello sonata much more engaging. Although published (in 1733) as his op. 1, no. 1, this was no debut work. Barrière chose as the initial piece in his first publication a grandly dark sonata that would demonstrate his seriousness as a composer and capability as one of the first virtuoso cellists in France. This extraordinarily challenging music posed no evident difficulties for Unterman. Only the rather unimaginative last movement was something of a let-down, though this was no fault of the performers. Perhaps more purposeful dynamic shaping could give some meaning to the all-too-methodical passagework, which was nevertheless transmitted assuredly as it ranged up into the cello’s stratosphere, high on the top string. Throughout the program, Sato provided a solid foundation on the harpsichord. Accompanying is an essential but unsung part of a concert such as this. Baroque composers left continuo parts to be filled out by the performer, who can be tempted to add counterpoint or other types of filler. Sometimes this worked, but I wonder whether one might, in some of what we heard, say more by doing less, as in the sarabande of Leclair’s flute sonata. Is it possible that simply playing full chords could not only have brought out Leclair’s expressive harmony, but also helped the flute incorporate the many small ornaments of the melody into the long-spanning lines that the composer seems to have envisioned?